Activate your free account today and one of our agents will contact you shortly. Membership is completely free. 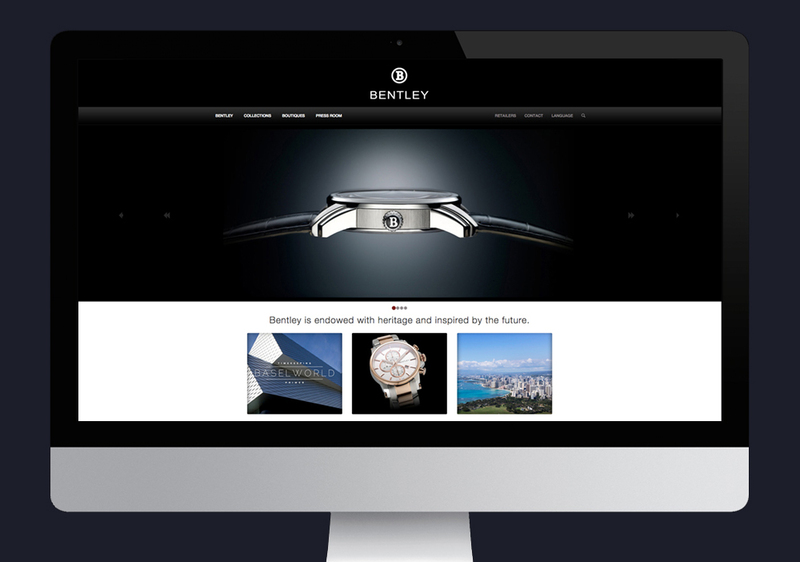 Joining the Live Catalog network gives you the power to upload your product images, prices, and marketing assets, while securely distributing them instantly to your all of your retailers' websites. Store all your digital assets in one place, requiring only entry point to keep every outlet in your digital asset network up-to-date, using just one master list. Integrate a select group of your products into the websites and social networks of your authorized retailers from one place, maximizing your brand exposure. Authorize each retailer with your products and marketing assets and reach consumers more effectively, while giving your retailers all the essential tools they need. Having all your assets securely in one place maximizes your brand exposure, solidifies your retailer network, and helps your overall efficiency as a company. Punchmark can also help you automate the dispersion of data to all other networks (the Knot, Rapnet, etc.) so you can eliminate the need to submit data to several places in multiple formats. Ask about our Premium accounts, with comprehensive reporting and even more tools and advanced automation. Once your jewelry images and product information are in our system, it is very easy to add, edit, categorize, tag, import, and export your products in whatever format needed. You can also create maps of your exports in specific formats to be used in other channels, and then set up transfers that submit the data to any email address or FTP account you specify, completely automating your network of product feeds. Your security is of the upmost importance to us. Once you join the Live Catalog Network through our website, you will be contacted by an agent to confirm your identity and company. Giving your retailers all the tools they need to feature your products on their websites and on their social media is so simple and easy that you can increase your brand exposure in a matter of minutes. Ensuring that every retailer has only the products for which they're authorized is very important, as well as the ability to lock markups across the board, or to allow retailers to set their own markups for easy calculation in accordance with your cost profiles. You can also lock certain fields and information so that they can only be updated by administrators at your company or from your product API. One of the most important aspects of your brand is consistency. When all your retailers have your most current marketing assets, this makes it easier to reach the consumer on the level your brand requires. Your marketing assets can be configured using a wide variety of media—from video content to multidimensional slides with images, headlines, copy, buttons, animations, and other various elements. The technology that you will have at your fingertips will allow you to convey any message to the world, representing your brand identity in the best possible light. Your products should be completely portable, regardless of the platform your retailers are using or where their website is hosted. With a very little investment on your part, Punchmark's Vendor Product Showcase can give you the turn-key product solution that you've always been looking for. Our easy-to-install code can be installed on nearly any website platform or CMS*. 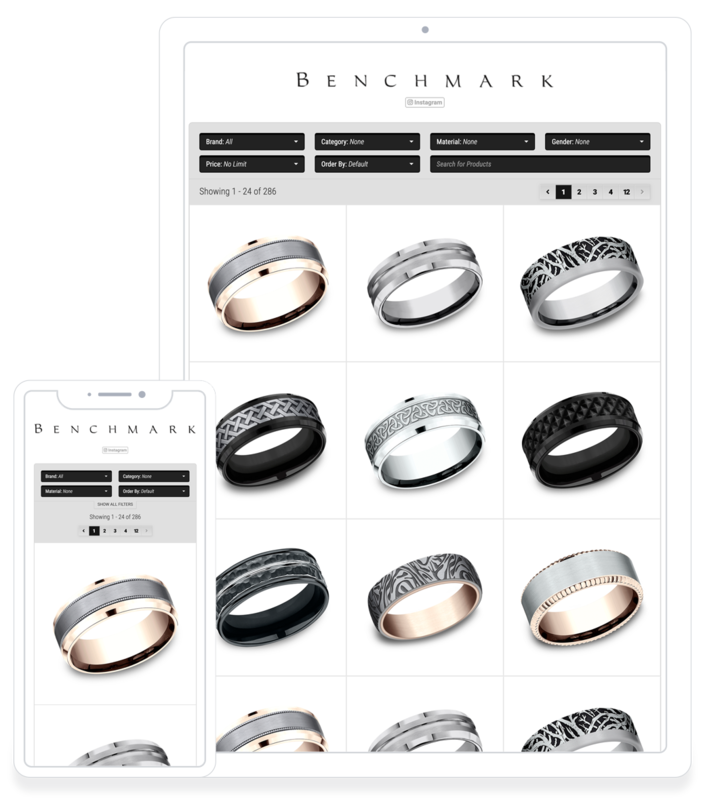 Punchmark's design packages for jewelry vendors include a robust content management system, with the ability to expand upon the platform indefinitely. We can add services at any time pertaining to design, product management, retailer management, e-commerce, SEO, marketing, custom development, or special server requirements that go beyond the scope of our initial offerings. While your retailers are typically the only B2C outlet where your products are sold, you can also take part in this direct-to-consumer marketplace. Never worry about upsetting your biggest accounts anymore. 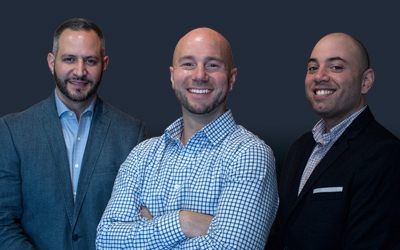 We have several models that incorporate your retailers into the buying process, ensuring that your relationship with each client is strengthened throughout the process, and there are no bridges burned by going directly to the consumer. 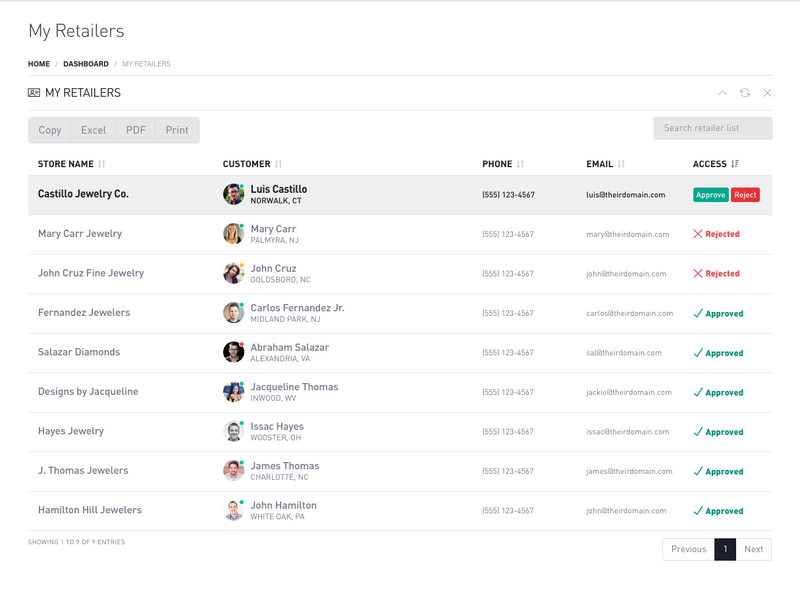 Whether you are a large vendor who owns multiple brands, or a smaller designer who offers one-of-a-kind jewelry styles, our system allows you to manage each brand, as well as their categories, marketing, suggested markups, and which retailers have access to which brands. 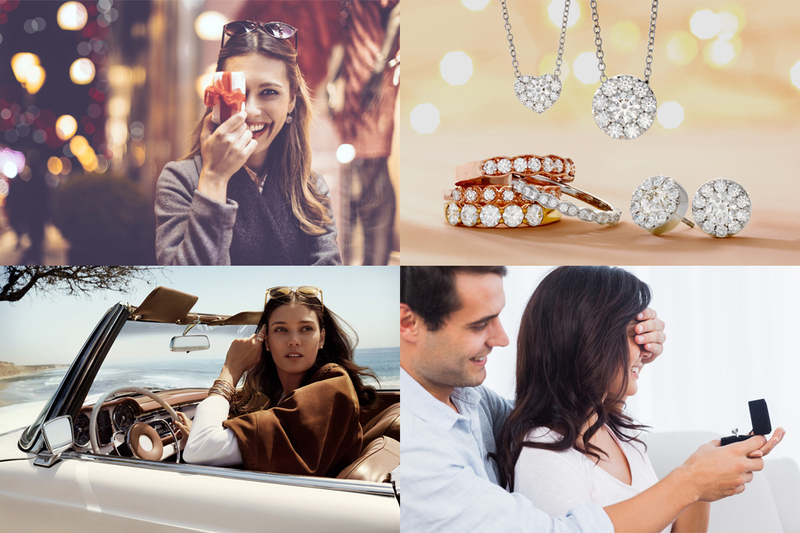 Punchmark powers hundreds of retail jewelry store websites across the United States and Canada.